For many of you, acknowledging and coming to grips with the reality of hearing loss was a tough pill to swallow. Nevertheless, you soldered on and visited a hearing specialist for a hearing aid fitting session, because you knew that’s what is best for your health. Most likely, you immediately recognized the benefits one receives from wearing a hearing aid, including the ability to hear speech (even among the buzz of background noise), the potential to recover from cognitive decline and the ability to treat tinnitus. But among all those life-changing benefits, you also recognized one loud, piercing and shrieking negative. Your hearing aids keep whistling, and it will not stop no matter what you try. The whistling you’re hearing is more commonly known as feedback. It’s like what happens when a person holding a microphone gets too close to the sound system–the only difference is this time it’s directly in your ear. Fortunately for you, this is a common problem, and there are a handful of ways to address it. 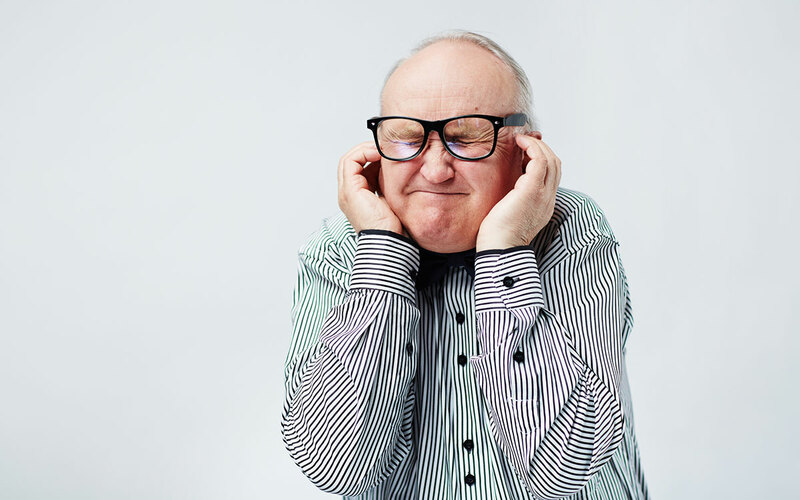 We’ve put together a recap of three tried-and-true ways to stop your hearing aid from whistling. Perhaps the most prevalent reason for feedback or whistling in the ear involves the positioning of your hearing aid in your ear or the earmold connected to it. If the hearing aid does not fit properly within your ear, sound can escape and reverberate through the hearing aid’s microphone. The result of that leakage can be a whistling that’s either intermittent or constant, depending on how much sound has escaped and how poorly the fit really is. With some hearing aid models, a plastic tube will connect the actual device with the earmold. Over time, this piece can harden, shrink or crack, which unseats the earmold from its proper position. This movement can cause whistling, but you can correct the issue by replacing the plastic piece. It’s ironic to think of something like earwax–which is perceived by many people to be foul or unwelcomed–as beneficial to our bodies, but it really does serve a practical purpose. This gooey substance acts as a defense against irritants like dirt and prevents them from entering our ears. While your ears will self-regulate the amount of earwax you hold, through actions like chewing or talking, there are times when a buildup of too much earwax can have negative repercussions. When you insert a hearing aid on top of an extreme amount of earwax, you’re bound to receive feedback. The reason for this is that the amplified sound has nowhere to go due to the blockage from the wax. With no clear exit, the sound circles and passes through the microphone once more. There are a few ways to remove an abundance of wax from your ears through home remedies like letting a warm shower run into your ears. However, the best idea may be to speak to a hearing specialist about properly cleaning your ears to avoid undue buildup and subsequent whistling. Sometimes the most obvious solution is the most effective. How many times have you seen someone try to take a photo with the lens cap on their camera and watched as they became momentarily baffled about why the picture didn’t come out? The same principle applies here. Caps covering the hearing aid can cause them to whistle. You may even get the same result by covering the microphone with your hand or another object–like if you hug someone and bury your ear into their shoulder. Uncovering the hearing aid should suffice in fixing the issue. Manufactures are routinely integrating new hearing aid technology into devices, and we’ve already seen modern models alleviate some of these causes for concern. If you’re having problems with whistling from your hearing aids, or you’re interested in learning more about new technology among devices, check out our hearing aids section.